It’s summertime! This means days are longer, work hours are shorter, and relaxation is in order. Thus, it’s time for some reading. 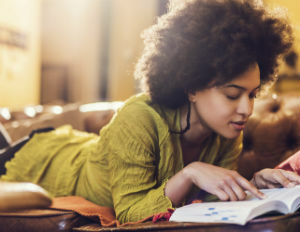 The Black Enterprise team is all aboard the summer reading train, and we’d love for you to join us! Check out our summer fiction picks below and read along. Let’s discuss. Book club, anyone? At an opulent resort in Montego Bay, Margot hustles to send her younger sister, Thandi, to school. Taught as a girl to trade her sexuality for survival, Margot is ruthlessly determined to shield Thandi from the same fate. When plans for a new hotel threaten their village, Margot sees not only an opportunity for her own financial independence, but also perhaps a chance to admit a shocking secret. Here Comes the SunÂ offers a dramatic glimpse into a vibrant, passionate world most outsiders see simply as paradise. On December 3, 1976, just before the Jamaican general election and two days before Bob Marley was to play the Smile Jamaica Concert to ease political tensions in Kingston, seven gunmen stormed the singer’s house, machine guns blazing. The attack wounded Marley, his wife, and his manager, and injured several others.Â Rumors abound regarding the assassins’ fates, and there are suspicions that the attack was politically motivated. Paulo Coelho’s masterpiece tells the mystical story of Santiago, an Andalusian shepherd boy who yearns to travel in search of a worldly treasure. His quest will lead him to riches far different–and far more satisfying–than he ever imagined. Til the Well Runs Dry opens in a seaside village in the north of Trinidad, where young Marcia Garcia, a gifted and smart-mouthed sixteen-year-old seamstress, lives alone, raising two small boys and guarding a family secret. She then meets Farouk. The novel follows Marcia and Farouk from their sassy and passionate courtship through personal and historical events that threaten Marcia’s secret, entangle the couple and their children in a tumultuous scandal, and put the future in doubt for all of them. Obinze had hoped to join her, but with post-9/11 America closed to him, he instead plunges into a dangerous, undocumented life in London. Fifteen years later, they reunite in a newly democratic Nigeria. What fiction are you reading this summer?